Understandably, there's not a whole lot happening in our backyard right now, but our bamboo continues its resolve to rule the place (as bamboo is wont to do), and I'm actually rooting for it. 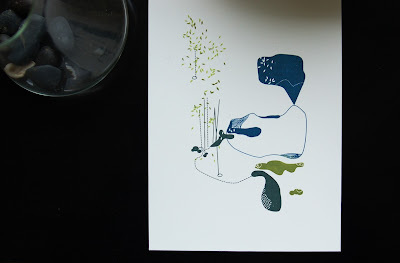 I've loved AH-YI's dreamy Gocco prints for a while, but I especially like this one. It reminds me of that bamboo.